Helping others to find their “voice” is at the heart of Perie’s work, whether in her role as a marriage, family and child therapist, a poet, a poet teacher through California-Poets-in-the-Schools (CPITS), or poet working in the therapeutic mode. She is a MFT in private practice, licensed since 1991, and conducts writing groups for healing and well-being through Hospice of Santa Barbara and Sanctuary Centers of Santa Barbara. 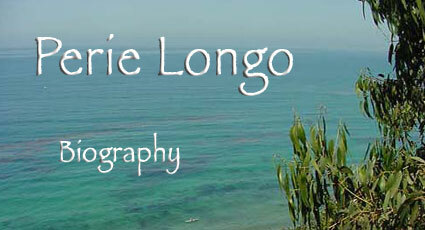 Since 1985 she has led poetry workshops for the national Santa Barbara Writers Conference, held in June. Every August she leads the two day Santa Barbara Summer Poetry Writing Workshop: www.sbpoetryworkshop.com. From 1985-2014 she taught poetry in local schools with the California-Poets-in-Schools program. She was one of the Poets Laureate in residence in 2016 for the Cenennial celebration of the Santa Barbara Museum of Natural History. In 2011 she received the Woman of Achievement Award from the Association of Women in Communication, Santa Barbara Chapter. Other awards include “Outstanding Achievement Award ” (1998) from the National Association of Poetry Therapy (NAPT) and in 2004, their “Distinguished Service Award.” From 1985-2014 she taught poetry for students grades K-12 through California-Poets-in-the-Schools and for the Music and Arts Conservatory of Santa Barbara. 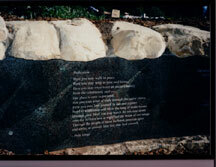 From 2005-2007 she was the president of the National Association for Poetry Therapy (NAPT), which promotes growth and healing through literature, symbol and story. She continues to be a Master Mentor/Supervisor for those who seek credentialing either as a certified poetry therapist (CPT), a registered poetry therapist (PTR), or Certified Applied Poetry Therapist (CAPF) through the National Federation of Biblio/Poetry Therapy (NFBPT). Individual training plans are designed with a trainee’s goals and interests in mind. Perie is chair of the Nuclear Age Peace Foundation’s Poetry committee. Each year the Foundation sponsors the Barbara Mandigo Kelly poetry awards offering prizes on the subject of peace and the human spirit in three categories: adult, high school and youth. See their website WagingPeace.org. Perie has published four books of poems, the most recent, Baggage Claim (WordTech Editions, 2014). Others include Milking the Earth (1986), The Privacy of Wind (1997), and With Nothing behind but Sky: a journey through grief (Artamo Press, 2006). Her poems have been published in numerous literary journals including, but not limited to Askew, Atlanta Review, Connecticut Review, Forge, International Poetry Review, Live Encounters, Lucid Stone, Lullwater Review, Miramar, Nimrod, Passager, Paterson Review, Poetry Flash, Prairie Schooner, Quercus Review, Rattle, Sanskrit, Slant, South Carolina Review, Solo, Solo Novo, Studia Mystica, and Wisconsin Review. Anthologies include: Breathe: 101 Contemporary Odes (C & R Press 2009), Bear Flag Republic: Prose Poems and Poetics from California (Greenhouse Review Press, 2008), Fishing With My Father (Penguin Press, 2005) which includes her poem of the same title, The Cancer Poetry Project (Fairview Press, 2001, Volume II, 2013), and The Poetry of Peace (Capra Press, 2003). With David Krieger, President of the Nuclear Age Peace Foundation, she co-edited Vol. II of this series titled Never Enough Flowers. Perie has received three pushcart nominations from Askew, Rattle, and Solo Novo. She has published several poems and essays over the years in several California-Poets-in-the-Schools (CPITS) anthologies, and edited two of those volumes. 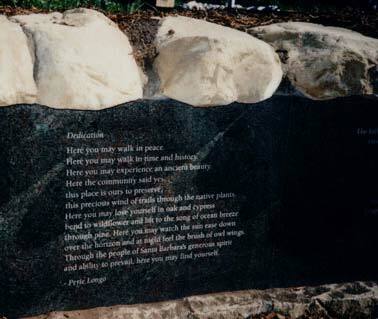 Recently she wrote a dedication poem, carved in stone, for the Douglas Family Preserve in Santa Barbara. Perie is on the staff of the Social Emotional Arts (SEA) credentialing program through UCLA (2013-14). Previously, she has taught at UCLA, Antioch, Santa Barbara Santa Barbara City College, and has been a frequent guest lecturer in the UCSB English Department. Please feel free to contact Perie if you are interested in receiving individual therapy, exploring your issues through poetry and/or journaling, learning more about the National Association for Poetry Therapy and their credentialing program, or help with crafting your work. She says poetry as art and poetry as therapy are very separate in their approach. Poetry as art focuses on the poem, whereas poetry for therapy focuses on the person. She echoes the poet Shelley who said “poets are the true legislators of the world.” In today’s troubled world, poetry more than ever is a way to at least bring us to internal peace.